In 2015 Sony saw that smartwatches of the time were mostly awful, and many people had traditional watches they loved. Therefore, it made the Wena watch strap, which has an OLED screen in the clasp to subtly convert regular watches into smartwatches. The product was initially sold on Sony’s own crowdfunding platform, and subsequently made available in Japan. Fast forward four years, and Sony has decided to release the Wena strap in the U.K.. Releasing a four year old piece of tech is an unusual move, but in the case of the Wena strap, its functionality and and usefulness hasn’t been dulled over time. It’s also still one of the only products of its type. 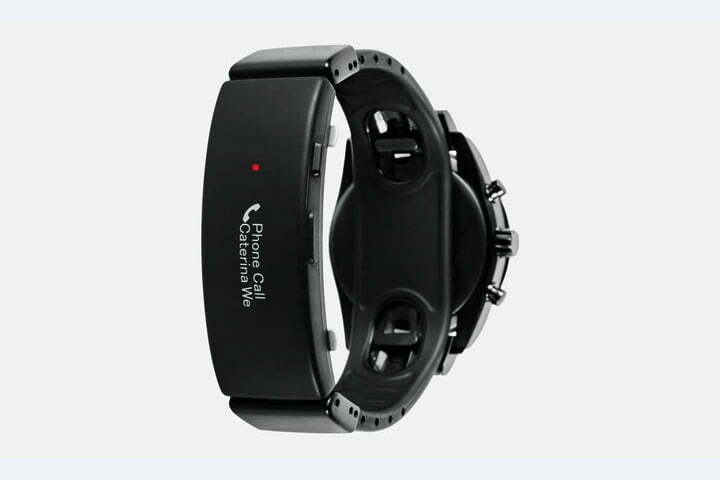 All of the technology is built into the clasp itself, which shows notifications on a tiny OLED screen. Choose the Wena Wrist Pro and it will attach to any watch that takes an 18mm, 20mm, or 22mm strap. It weighs 85 grams, and uses Bluetooth to connect to your phone. A Sony app manages the Wena Wrist Pro, which also tracks steps, calories, and sleep should you decide to wear it at night. It supports contactless payments too, and the battery inside lasts around a week before it needs recharging, which is performed using a proprietary connector. Otherwise, it looks like just about any other metal band, and comes in either stainless steel or black. Once fitted to your watch, the casual onlooker would never know it was a smart, connected device. 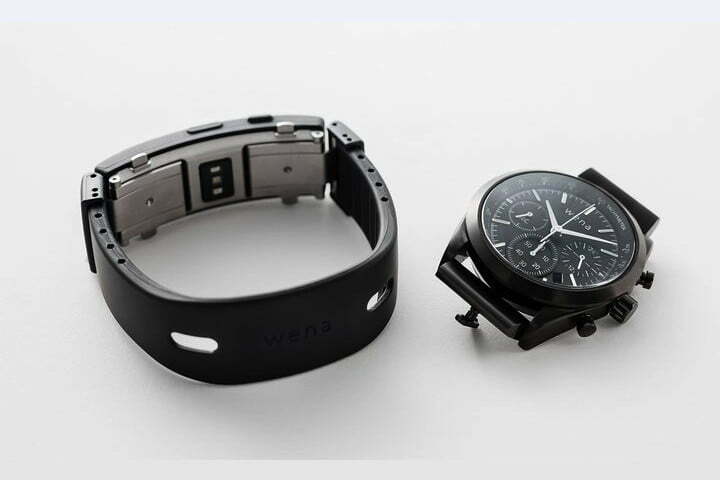 In addition to the Wena Wrist Pro, Sony has the Wena Wrist Active, which is a two-in-one, and very unusual. It’s an activity tracker with an OLED screen on the underside of the strap, like the Wena Wrist Pro; but this time it’s attached to a silicon rubber strap and has GPS, and a heart rate tracker onboard. 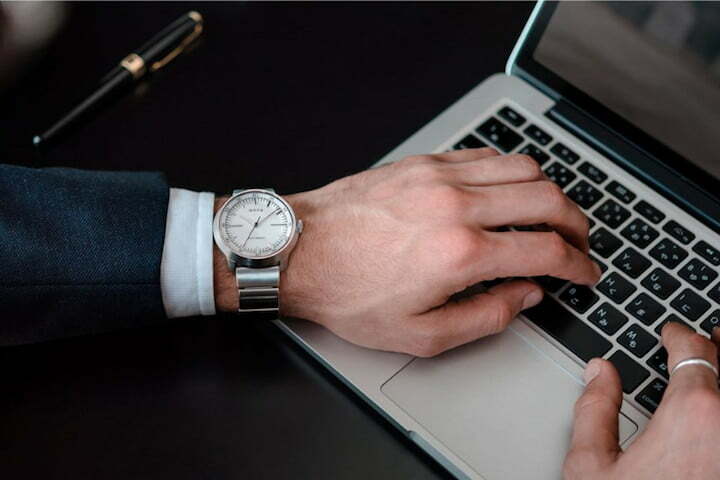 Cleverly, you can add the watch body of your choice to the Wena Wrist Active by using special connectors that attach to any watch face to the strap. When you want to hit the gym, take the watch body off and it becomes a fitness tracker again. Finally, Sony will sell you custom Wena watch bodies to go with either strap, if you don’t have a beloved watch of your own to modify. The cost varies depending on what combination you buy, and it’s where the Wena may fall apart as a proposition for many. 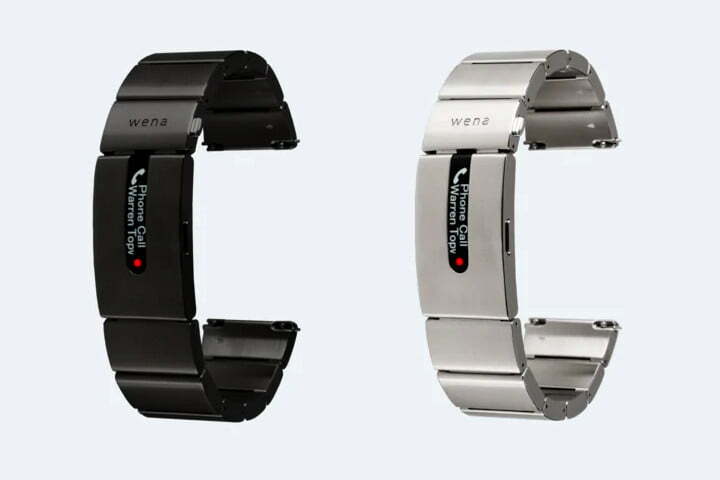 The Wena Wrist Pro is 400 British pounds, or about $515, while the Wena Wrist Active is 350 pounds, or $450. At those prices, the Apple Watch — which we consider the best smartwatch available — is easily purchased. No, it won’t have your favorite watch body; but it does everything the Wena does and more. Prices for the Wena watch bodies have not been released yet. The Wena Wrist Pro and Wena Wrist Active are available to pre-order in the U.K. now through Amazon and Sony, and both will be released on March 4. There’s no information on a U.S. release yet, but based on Sony’s current release schedule for the Wena, we’ll look out for it in 2023.